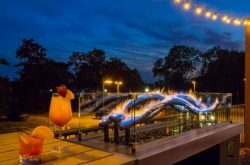 As I detailed in my previous listings of the Top Fish Fry Places In The Northtowns and Top Fish Fry Places In The Southtowns, putting together a guide for the best places to enjoy a fish fry in Western New York is no easy task. With so many restaurants churning out quality meals featuring one of our region’s most popular dishes, trying to list the best of the best is quite the challenge. 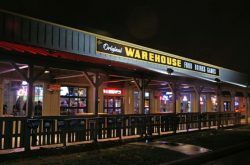 Using the confines of the City of Buffalo for this list, the following ten places located in the city limits are eateries that I have determined to be among the best of the best for fish fry dinners in the Queen City. A visit to any of these ten restaurants should satisfy your craving for a quality fish fry. My meal at this establishment last year was simply fabulous. I “technically” did not have the fish fry since I enjoyed what they call the “super combo haddock dinner.” The feast included a huge piece of haddock, hush puppies, four pieces of shrimp, three chicken fingers, a large pile of fries and coleslaw. I normally do not have tartar sauce with my fish but it was suggested by the woman who took my order that I would more greatly enjoy my fish with their unique tartar sauce. She was right! This is really not a “sit down” restaurant as the majority of their business is takeout, but there is a bench to sit at, which is where I devoured my meal. I would also suggest calling ahead since they seem to be extremely busy whenever anyone else I know has ordered from there. 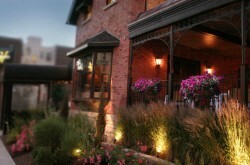 The atmosphere of this restaurant, particularly the main dining room, reminds me of a visit to my grandparents’ home. The elaborate paintings and knickknacks on the walls, combined with the ambiance, mood and pace of the wait staff is very inviting and comforting, at least for me. As far as the food goes, they do a dynamite job with their fish fry. I was served an enormous piece of beer battered cod and all of the expected sides and was very pleased with my meal. Their prices are ridiculously low in this day and age, so there’s no doubt you get a good bang for your buck. This is a great little place that may not be well known, but believe me when I say their fish fry is tremendous. Served every Friday throughout the year, they offer a special Lenten fish fry platter from 3 p.m. to 8 p.m.featuring all homemade salads and your choice of haddock or yellow pike. Friendly staffers are never too far away to fulfill all of your dining needs. Give this place a try. One of the most fun places at which to eat, I have visited here for weekday lunches, wedding receptions and of course fish fry dinners. Wonderful atmosphere that is highlighted by the unique decor within the interior of the building. The fish itself is battered in their own light house ale batter and always comes out hot and crispy. The portions of all of the side dishes are very generous. A bonus for this restaurant is that they accept reservations, which is unusual on Fridays, especially during Lenten fish fry season in Buffalo. Located between Ogden and Rossler in the Kasiertown neighborhood, this eatery features homemade goodness in a nice blast from the past type of atmosphere. 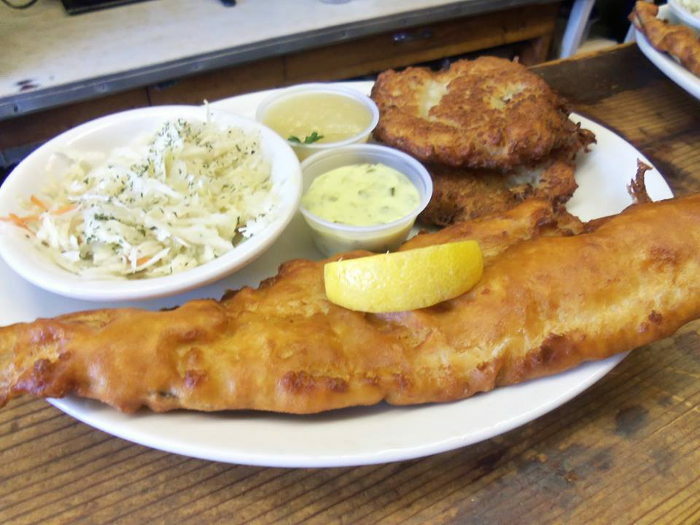 Their haddock fish fry is batter fried, breaded or broiled with your choice of potato and their delicious coleslaw, macaroni salad and potato salad. Please note that the last time I checked they do stop serving at 8pm. Their servers are always friendly and attentive. Really fun place to visit for a quality meal and a change of pace. Traditionally voted as one of Western New York’s best places to go for a fish fry, you cannot go wrong with ordering any of their seafood dishes. (Side note: Scharf’s has since relocated to Clinton Street in West Seneca. But for the sake of finding great fish fry, we’ll let it slide. Make the extra five minute drive.) They serve their fish fry every Wednesday and Friday and I would not be doing the right thing if I didn’t tell you to be sure to include an order of potato pancakes when you visit. Their side dishes are obviously homemade and served with plenty of tending loving care. If you have not been here for a fish fry, you really are doing yourself a disservice. Get there this Friday. 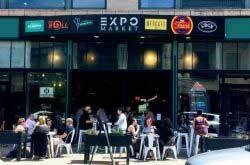 A tremendous place to meet up with friends and listen to live musical entertainment, Shadow Lounge has also carved out a nice little niche for itself as being a provider of quality food as part of North Buffalo’s revitalized Hertel Avenue central business district. The fish fry is haddock served either Panko breaded or beer battered and comes with “shadow slaw” and French fries. They take great pride in offering up fresh fish and homemade sides, which is why their customers keep coming back for more.